1930's. 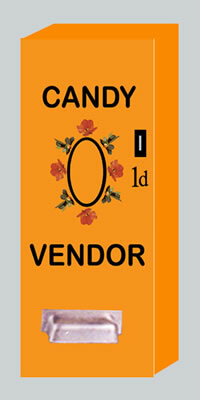 Candy vending machine. Non working. 55mm x 23mm x 8mm.